Podcasts. They are my latest love this year. In February of 2014, I started tinkering around with listening to podcasts. I plugged them into my ears while I drove around town and exercised. You'd even find me listening while doing dishes or traveling long distances. Much of what you've been enjoying here on The Tutor House is a direct result of hearing an idea shared on a podcast. I've really been enjoying hearing ideas and implementing them here to improve user experience and find better ways to serve you. One such idea was to give those who visit your site a very rare commodity, time. I knew I didn't have hours in the day to chat on the phone with you. At first I thought I would connect with other tutors by answering your questions via video…but honestly, it got really difficult to edit those videos quickly. Instead, I decided to go for a podcast so that I could give you a piece of my time and have it hopefully benefit other tutors as well. Because honestly, if one tutor is wondering what you are thinking about…there's a good chance there are at least a handful more that would like to know the answer too! I've recorded a bunch of episodes as to date. It's been amazing to answer your questions and spend a little time thinking about you. If you're anything like me, once you get excited about a new idea you want to absorb as much information as possible about it. Podcasts are such a blessing for those who has a hunger for knowledge. The Ask the Tutor podcast can be taken on the go with you! Take me with you as you run your errands or get a quick walk in for the day. Doing so is simple. Just click here to listen to Ask the Tutor via iTunes or listen live here on the website. So easy in fact, an 85 year old woman can do it! There are a wide variety of topics to listen to. 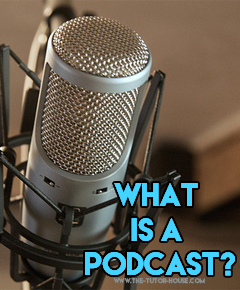 You can learn about educational practices, business, history, and even listen to an podcast editor expose truth about murder cases. To see how easy it is to watch a podcast, check out the funny and sweet Serial Podcast tutorial. You can subscribe to them and easily find me on iTunes. Now that you see how easy it is to listen to a podcast. How about sending in your very own question about tutoring to Ask the Tutor? It's even more simple. Head over to the submital page and send your question in. Exceptional Educator: Got my best idea for helping my struggling readers on episode 3. Da-BOMB! I honestly have about 6 different podcasts that I listen to, but I listen to Pat the most. I like his podcast because you get snippets of information in 15 minutes or less with ideas galore. I hope you'll try out listening to podcasts this year!